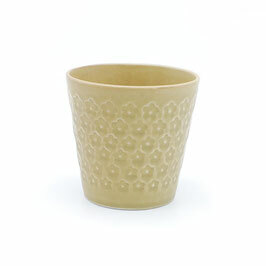 These delicate wine cups were made with off-white clay with a smooth finish and beautiful flower print. 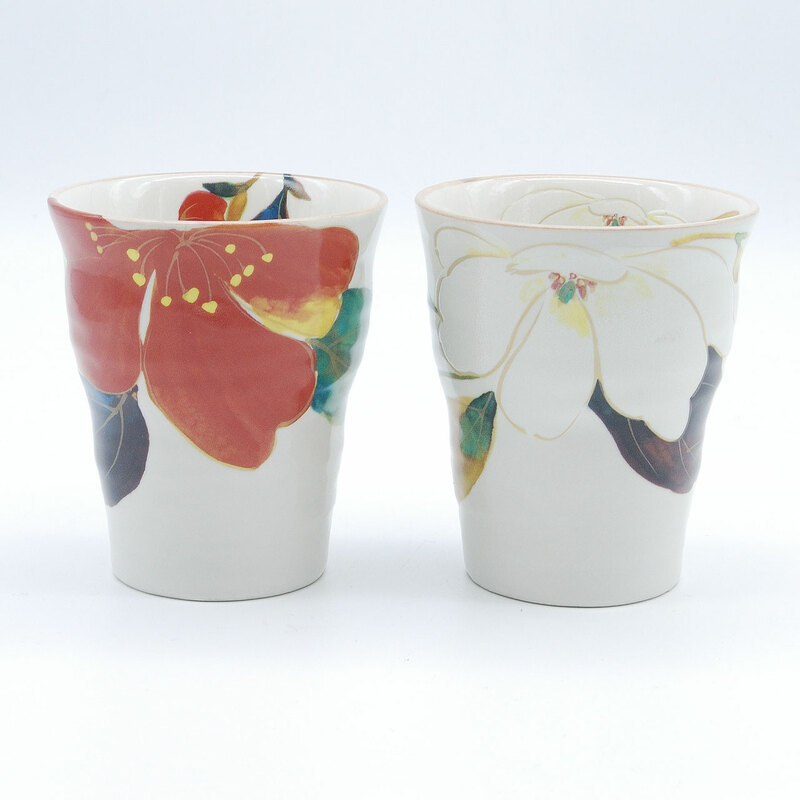 Set of two cups: red/orange with gold and blue/purple with silver flowers. 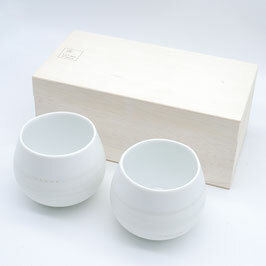 Packed in a sleek black cardboard box lined with satin. 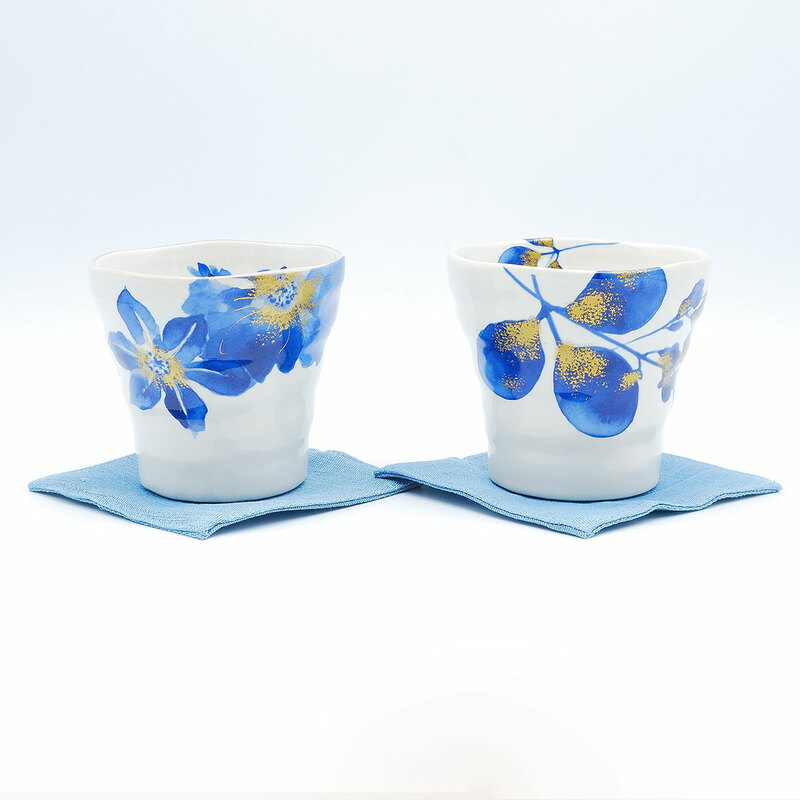 Set of two cups made with off-white clay with a smooth finish and beautiful flower print. 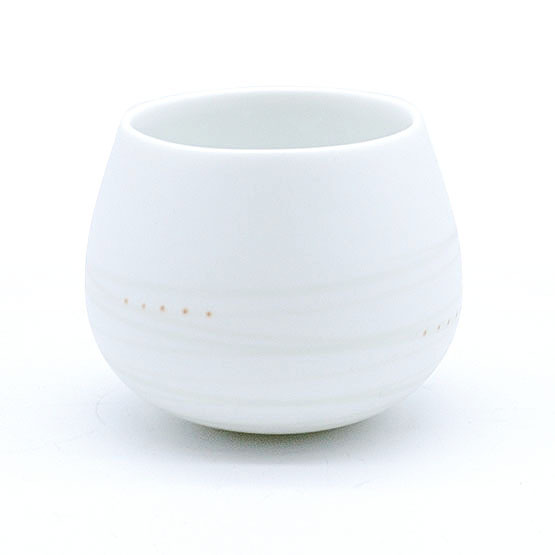 Available in red sasanqua and white magnolia. 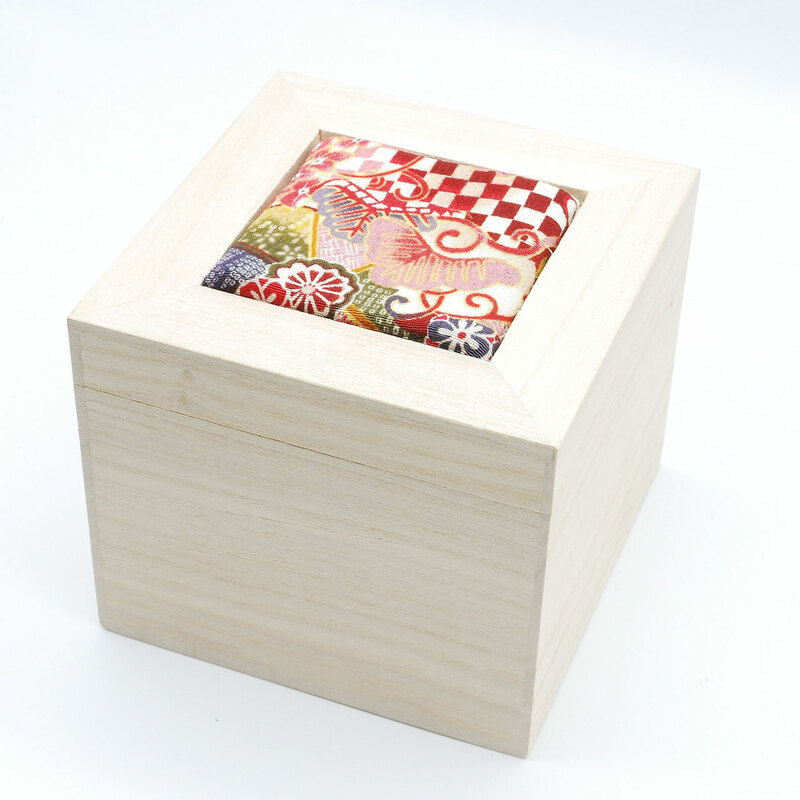 Packed in a fine pale wooden box with a cheerful flower cushion on the lid. 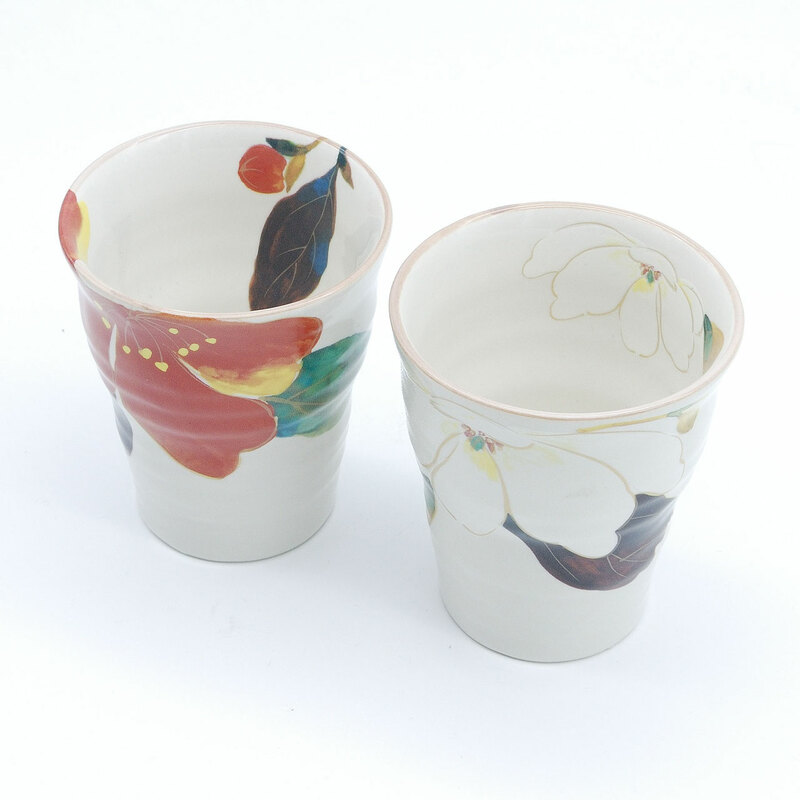 A pair of beautiful and cute rocking cup made with fine porcelain. 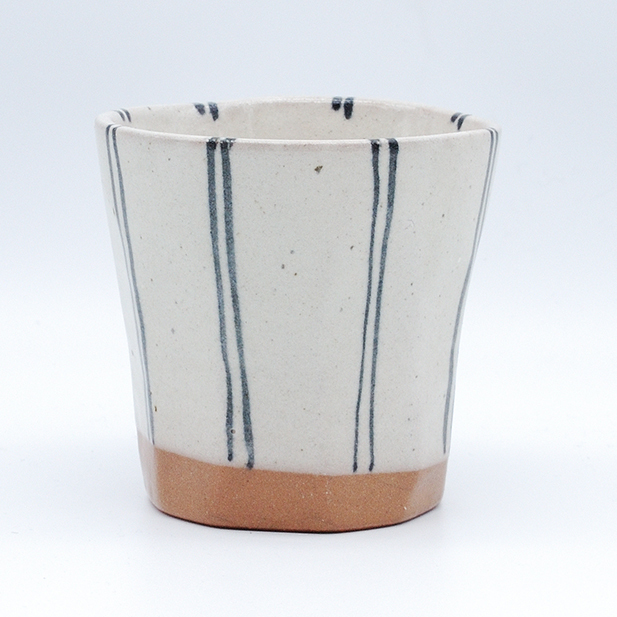 Inside of the cup is glazed and outside is matt white with motif of light beige lines and tiny orange dots. Good for "Sake", dessert wine, tea or coffee. 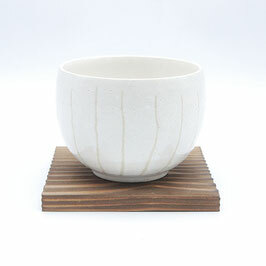 Comes in original wooden box. 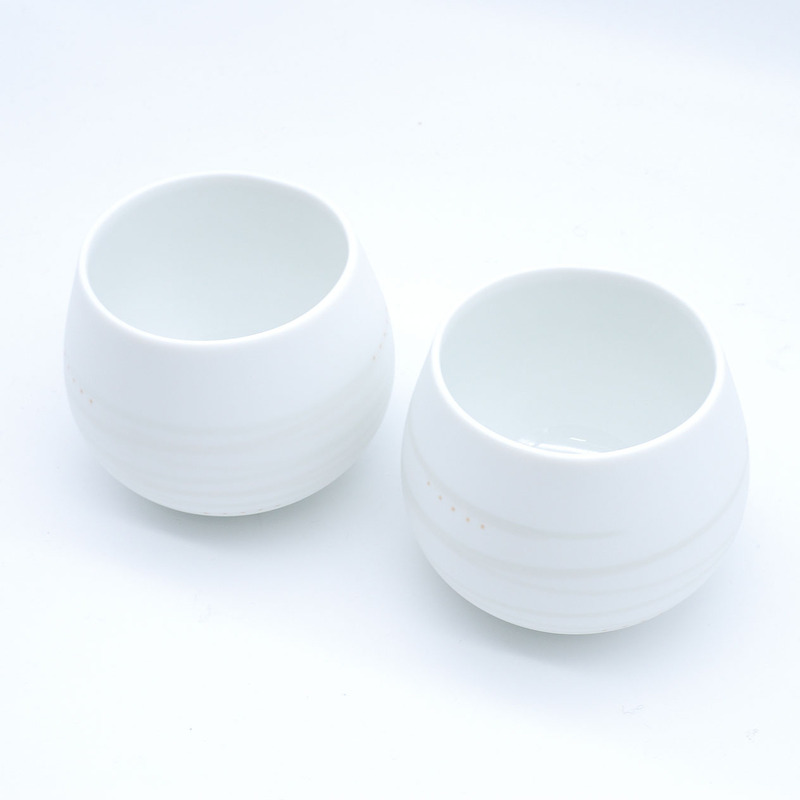 A pair of beautiful and cute rocking cup made with fine porcelain. 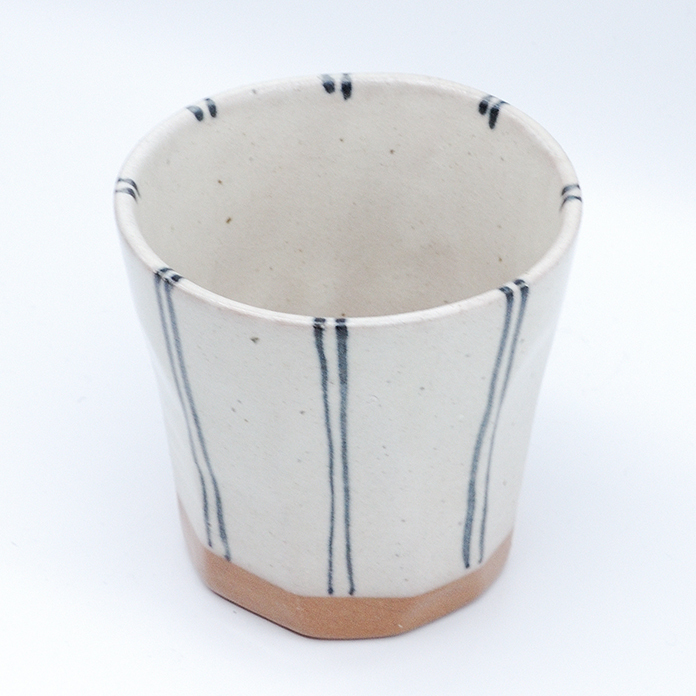 Inside of the cup is glazed and outside is matt white with motif of light beige lines and tiny orange dots. 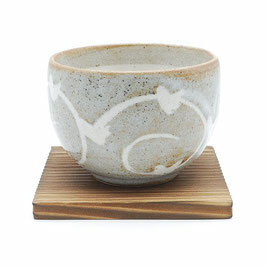 Good size for "on the rock" and red wine. Comes in original wooden box. 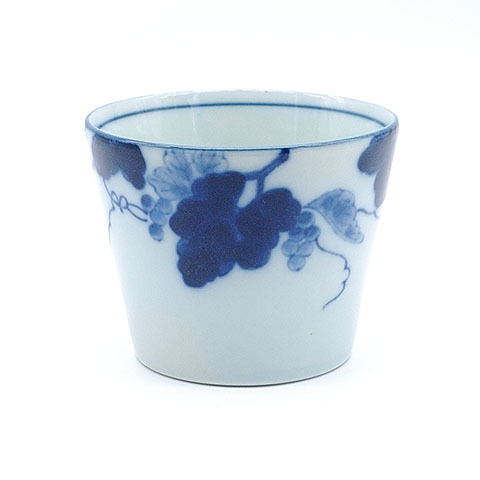 The cup printed with beautiful bright indigo blue flowers; Clematis, Chrysanthemum and Japanese clover. 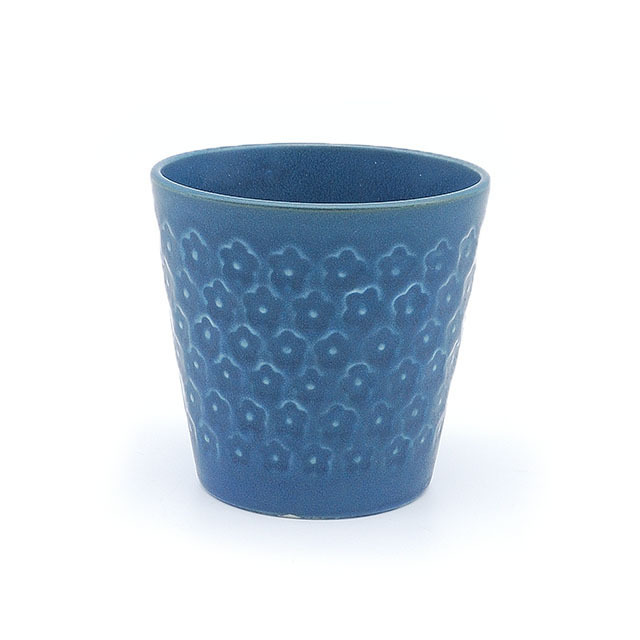 Can be used for any drink like tea, coffee and spirits. Two set of cup and coaster. 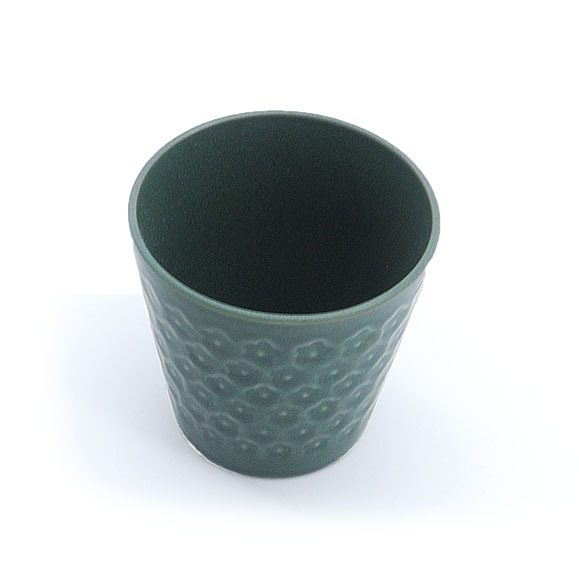 These beer cups have a secret inside. 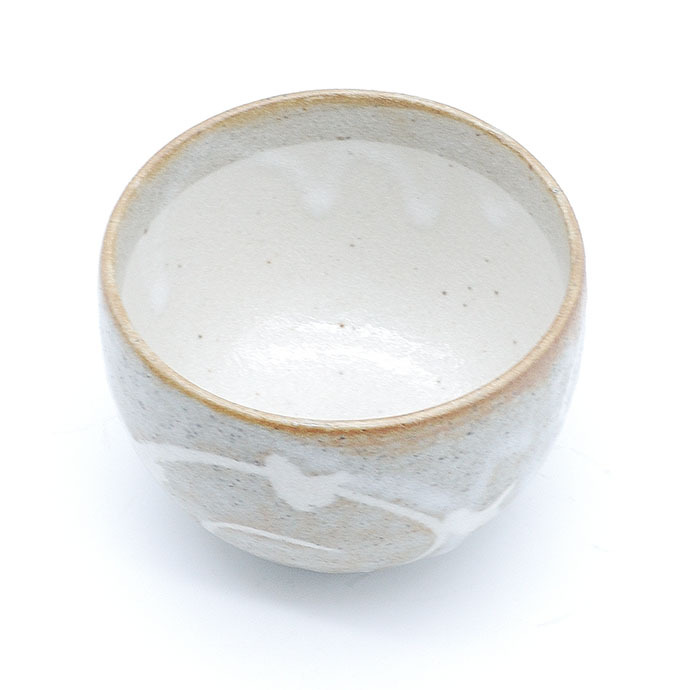 Pour your beer slowly and it will create silky foam on the top! 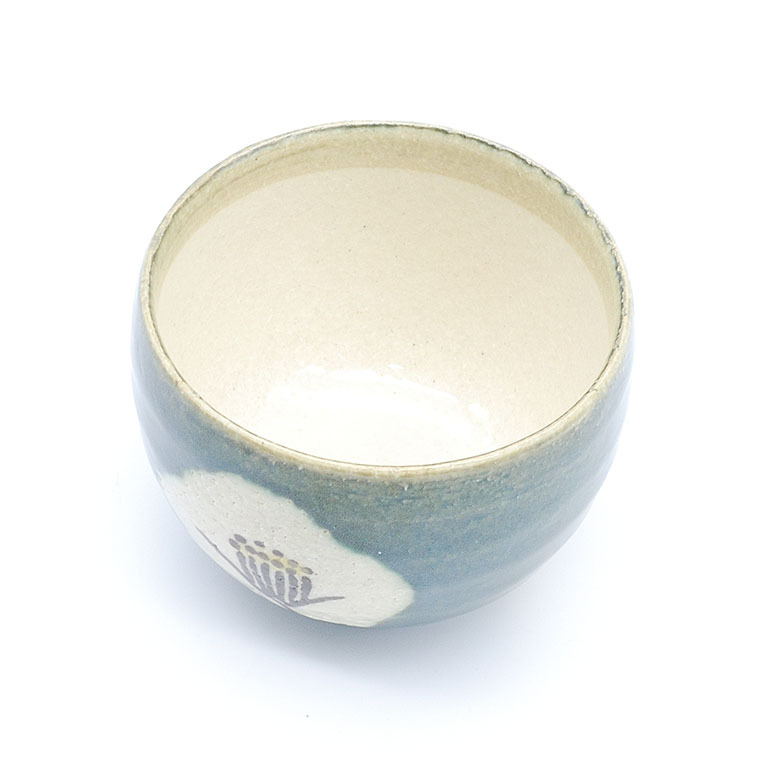 That’s how Japanese love to drink beer, not straight from a bottle but from a cup with some foam you can enjoy especially the first mouthful. 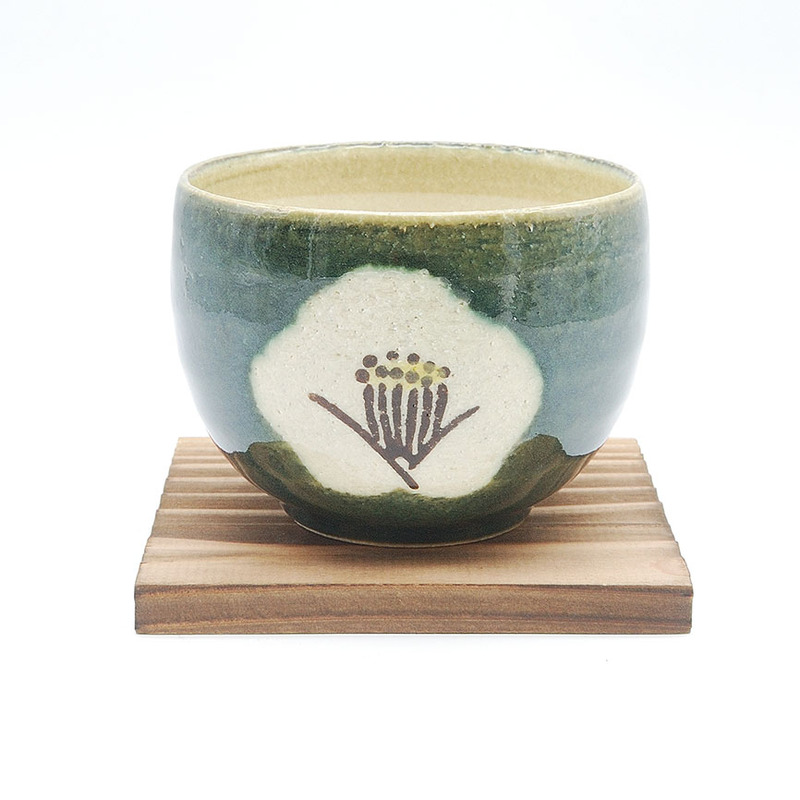 It is a perfect gift for beer lovers! 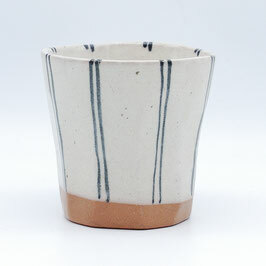 Another cup for a partner or a mate to come over! This cup is perfect to enjoy a beer at home while relaxing with style! 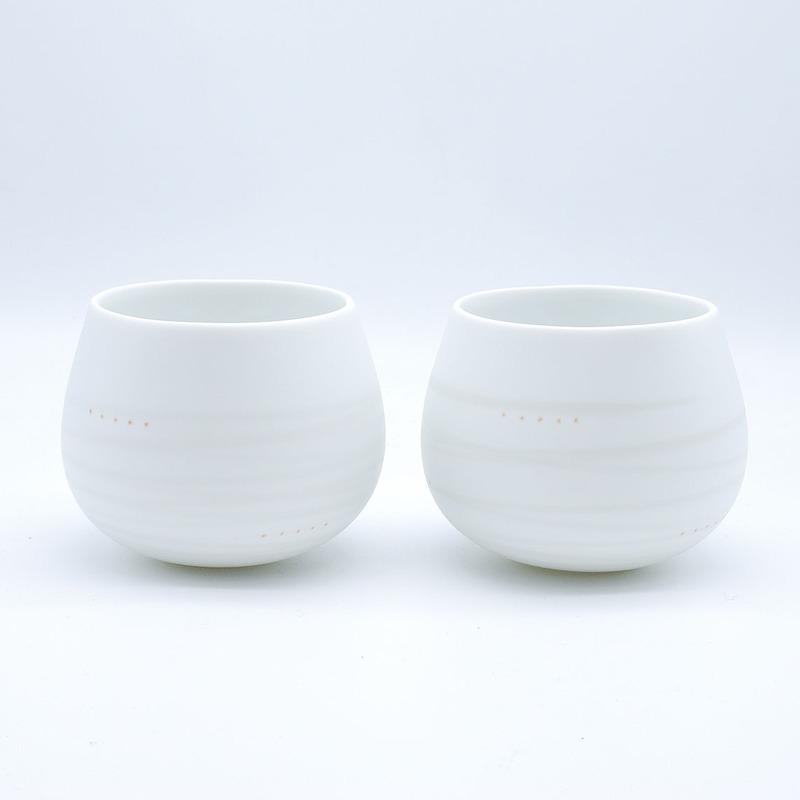 Cup pair to share a drink with a mate or a partner! 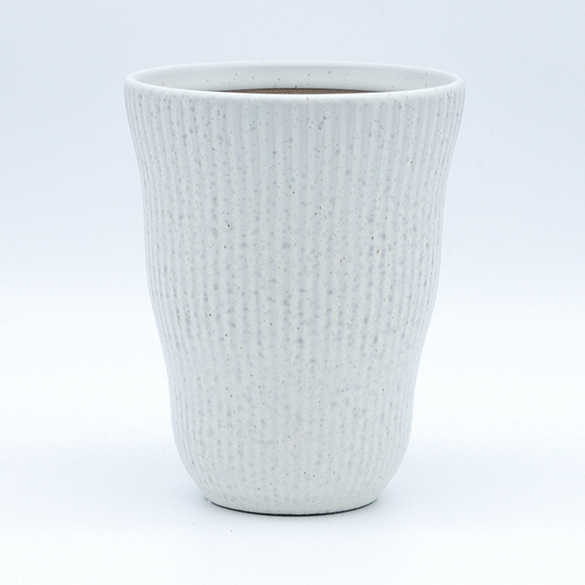 Textured ceramic beer cup with wavy shape. 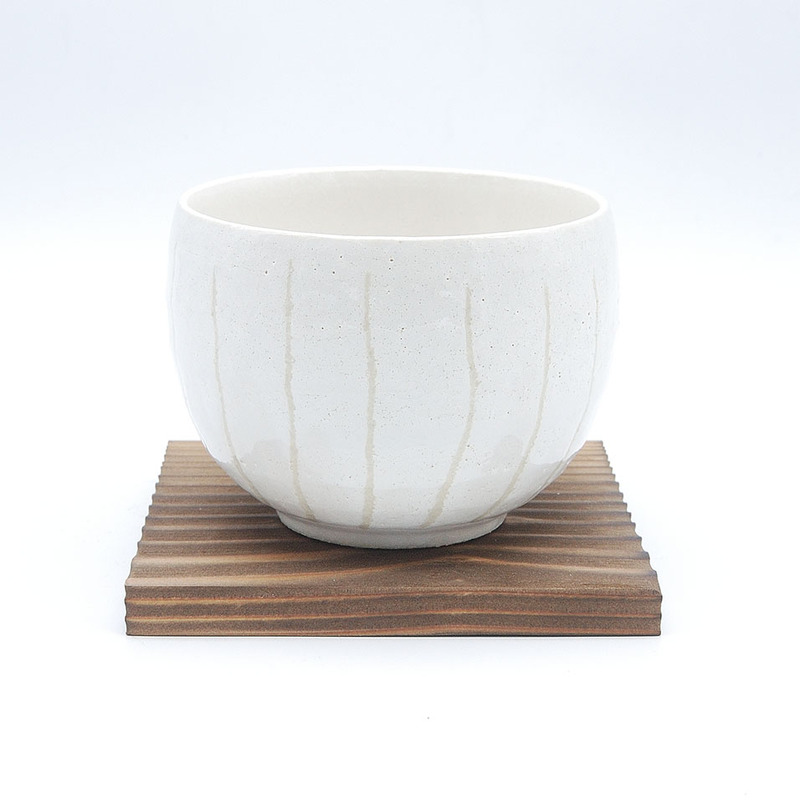 Soft vertical lines carved on a smooth gray ceramic, coated with black finish. 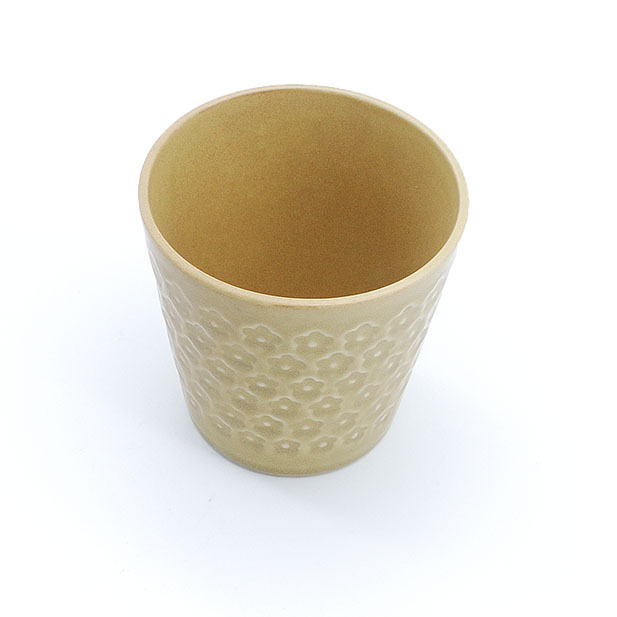 This beer cup has a secret inside. 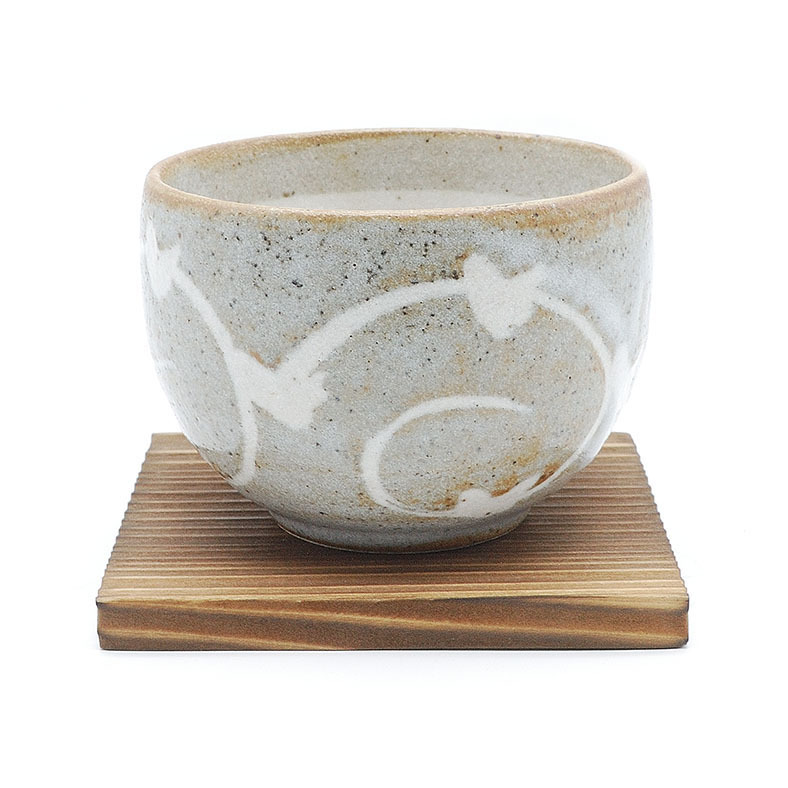 Pour your beer slowly and it will create silky foam on the top! That’s how Japanese love to drink beer, not straight from a bottle but from a cup with some foam you can enjoy especially the first mouthful. 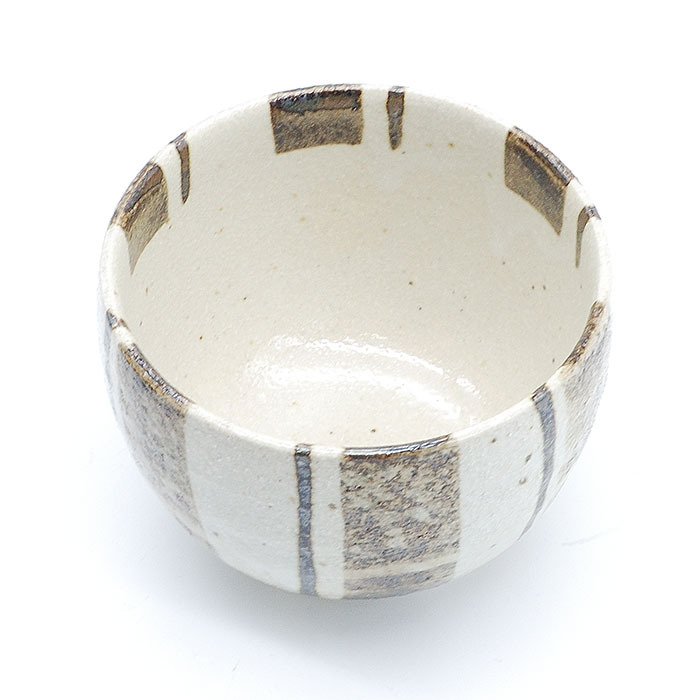 Perfect gift for beer lovers! 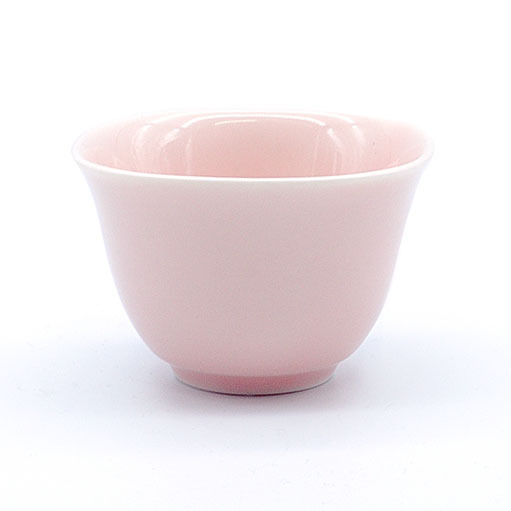 Available also in white. 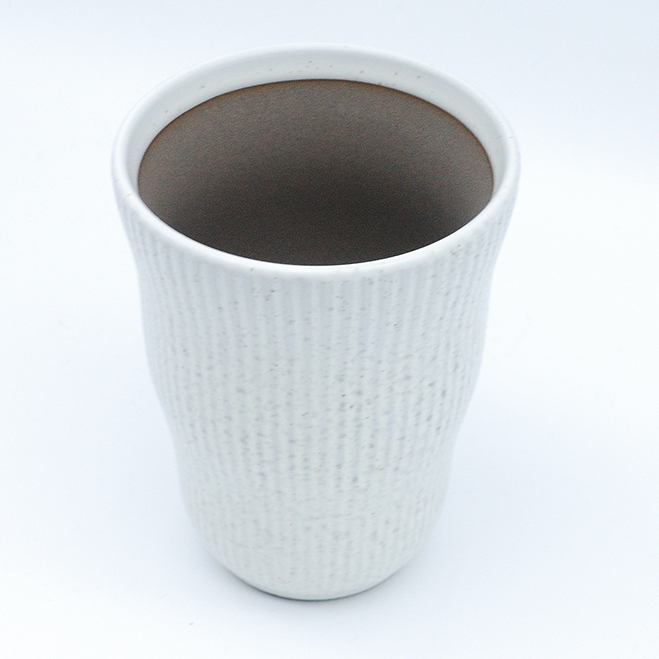 Textured ceramic beer cup with wavy shape. 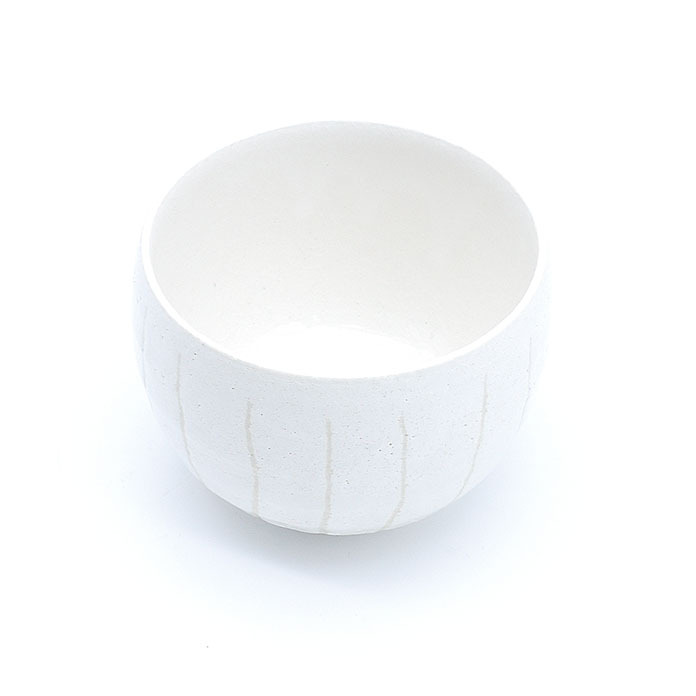 Soft vertical lines carved on a smooth gray ceramic, coated with off-white finish. 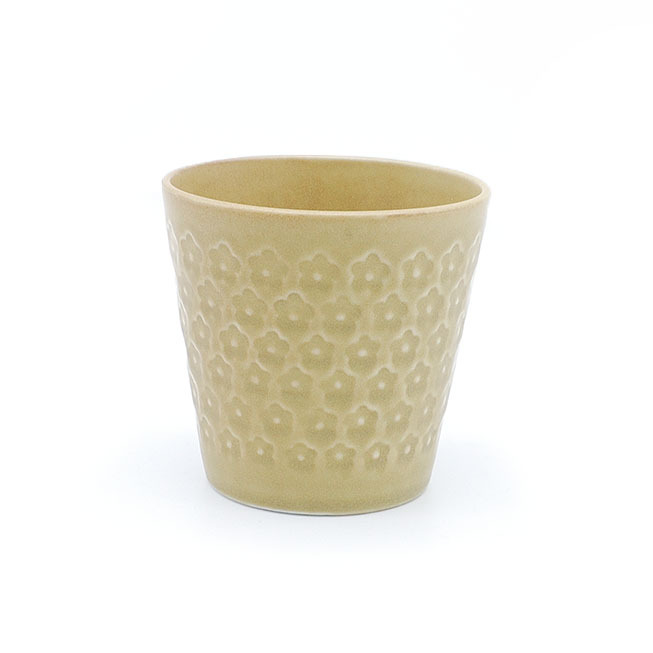 This beer cup has a secret inside. 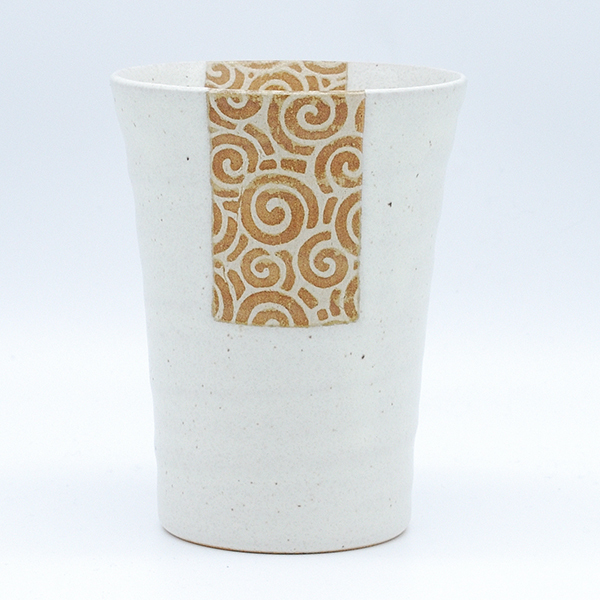 Pour your beer slowly and it will create silky foam on the top! 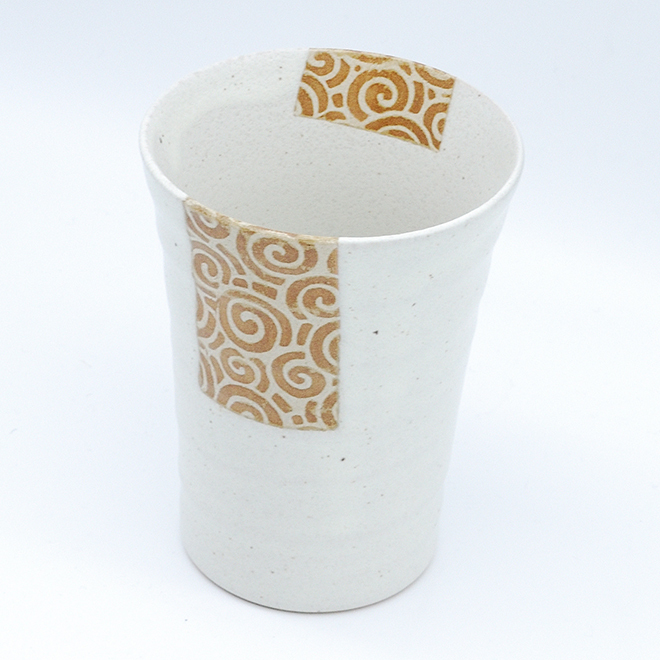 That’s how Japanese love to drink beer, not straight from a bottle but from a cup with some foam you can enjoy especially the first mouthful. 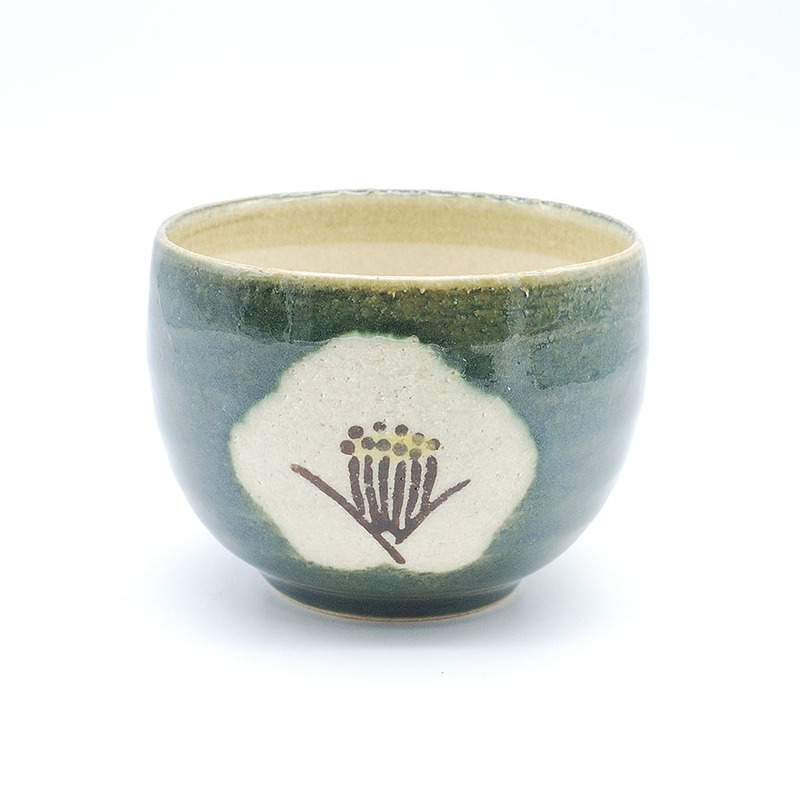 Perfect gift for beer lovers! 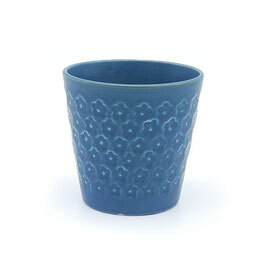 Available also in black. 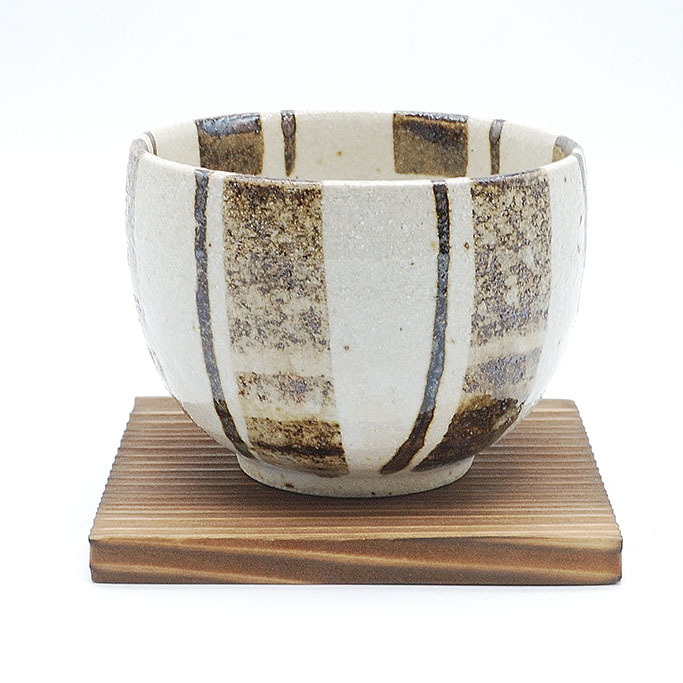 Beer cup with unique style: made with beige clay and glazed in black, the upper part is slightly wider than the bottom. It has a sand-like texture and two interesting beige rectangular details with caramel spirals. 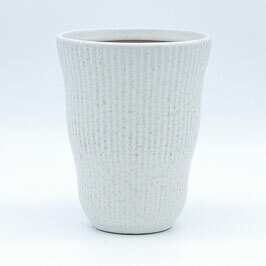 Beer cup with unique style: made with beige clay and glazed in white, the upper part is slightly wider than the bottom. 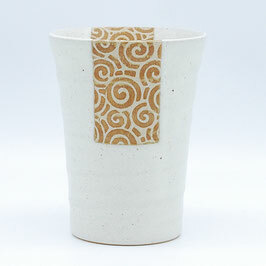 It has a sand-like texture and two interesting beige rectangular details with caramel spirals. 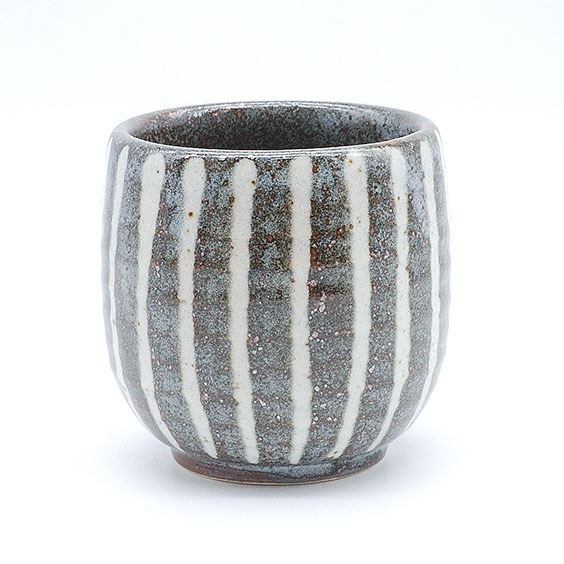 This unique masculine ceramic cup in black with a touch of brown hue at the side has an interesting coarse texture. 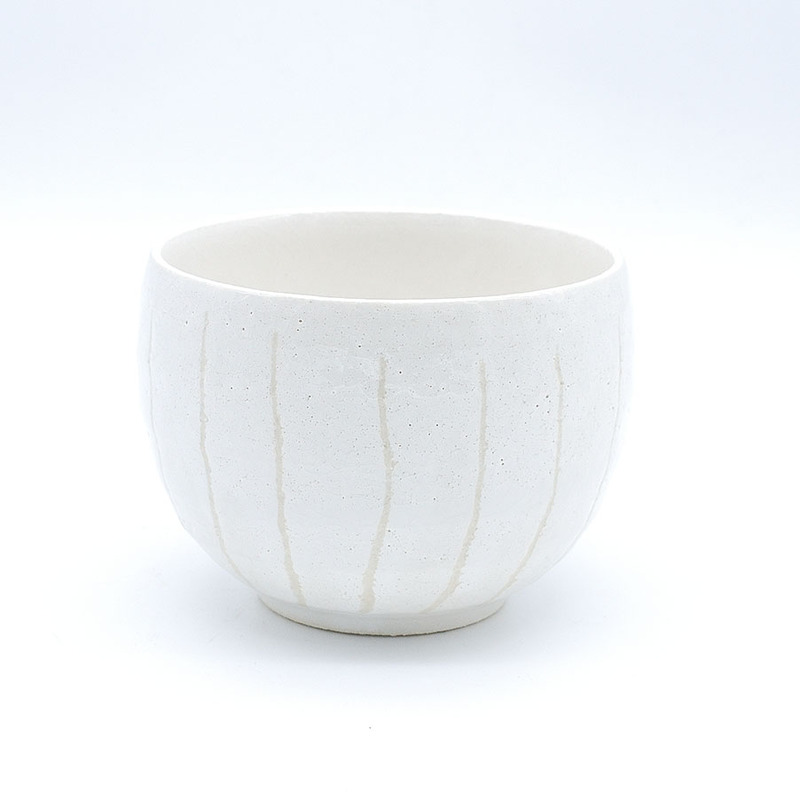 Uneven edges and shape complement its organic style. 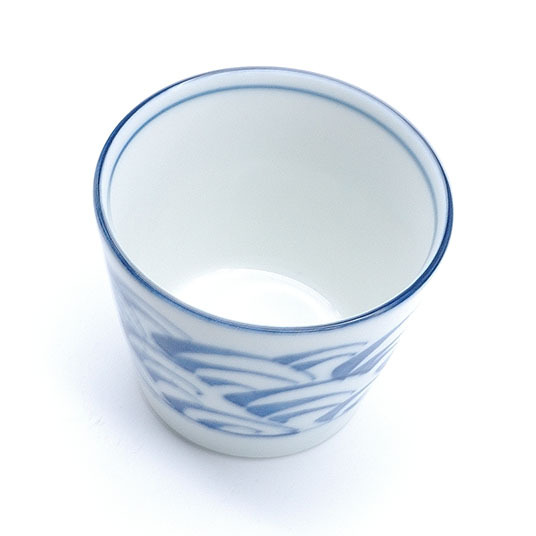 Enjoy "Shochu" (Japanese distilled beverage) or spirits like whisky and brandy on its own or on the rocks with this cup. 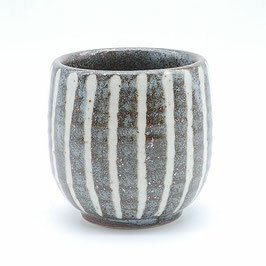 Earth-toned ceramic cup with off-white glaze finish, elegantly decorated with two fine graysh blue strips. 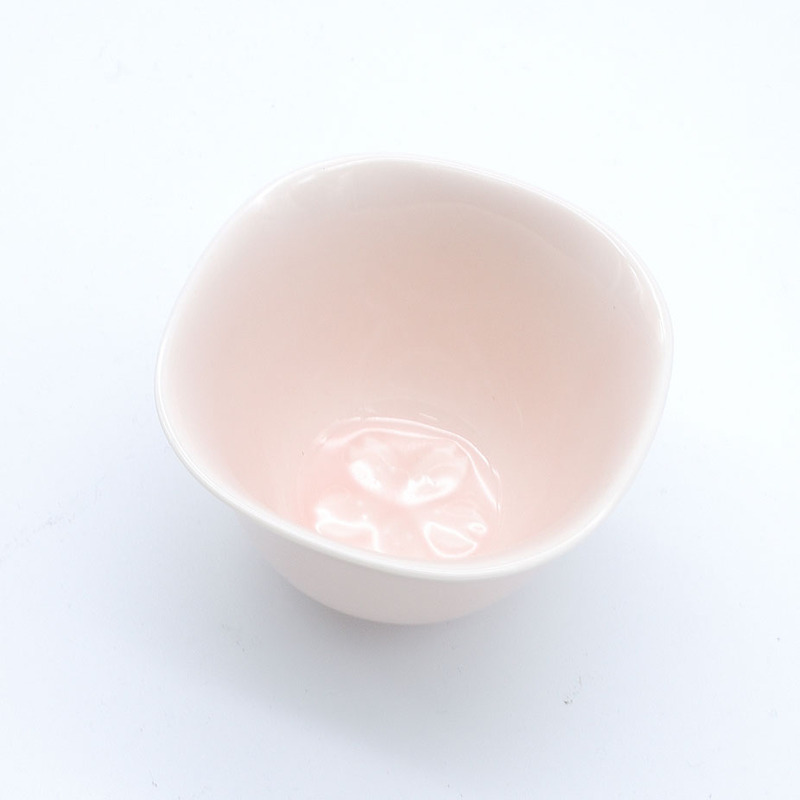 It is a wide cup with irregular edges and slightly faceted. 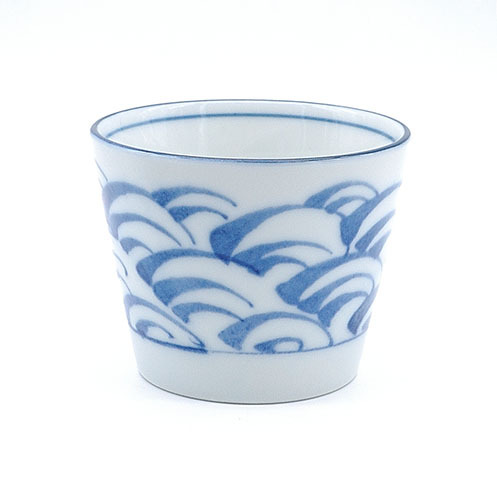 Enjoy "Shochu" (Japanese distilled beverage) or spirits like whisky and brandy on its own or on the rocks with this cup. 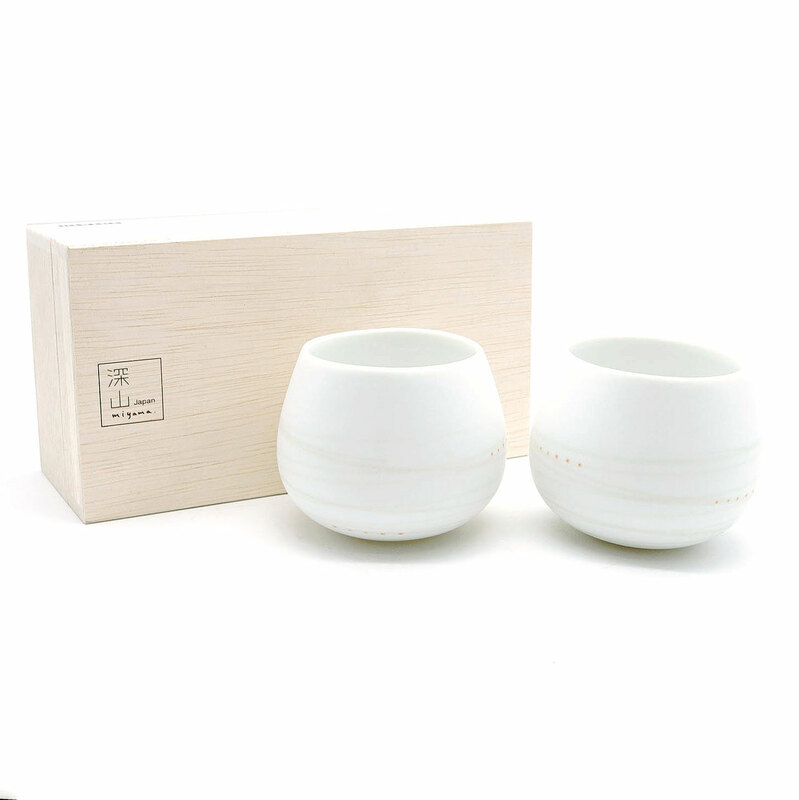 This black smoked cup is the perfect gift for shochu lovers. 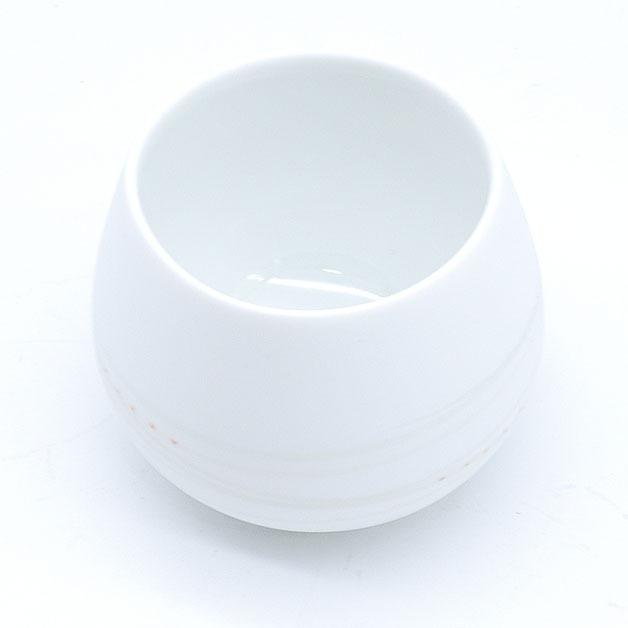 Shochu is a Japanese liquor distilled from rice, sweet potato, wheat or buckwheat. 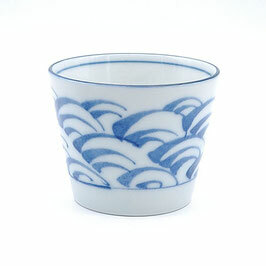 This cup can be used to serve shochu warm or on the rocks but also whisky or any other drink. 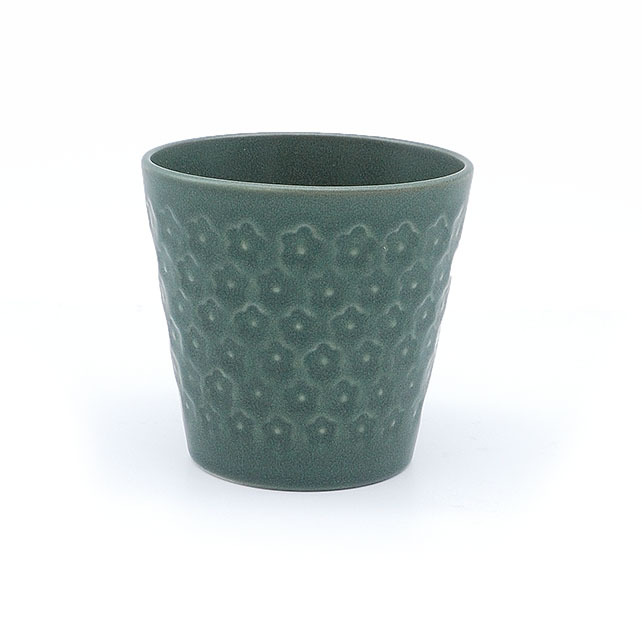 Unconventional wine cup made with silver gray ceramic with fine sand-like texture, which contrasts with the turquoise gloss glazed top.